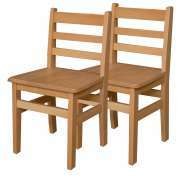 What are the best chairs for a preschool? 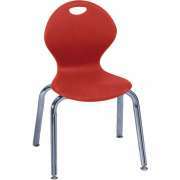 Hertz Furniture has a variety of well-designed, durable preschool chairs to fit every child and every school budget. Our school chairs promote the comfort of your students as they study, learn, play and develop important skills. Great preschool furniture will turn any classroom into an inviting and healthy learning environment. 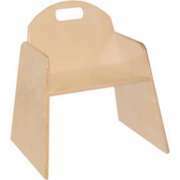 We offer both plastic and wooden toddler chairs. 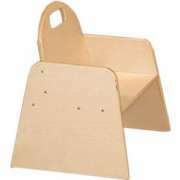 We have a number of stackable preschool chairs which are convenient for both storage and cleaning. Many of our models come with a complimentary extended warranty, so they will serve you well through many years. 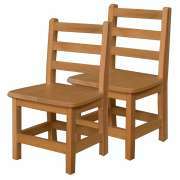 What kind of chairs do I need in my preschool classroom? 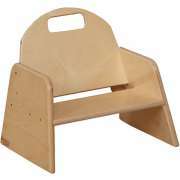 The early-childhood classroom requires seating for a number of different purposes. If your learning space includes a reading corner or children&apos;s library, you want to make sure that you have cozy places for children to sit and read. When you have a room that is divided into a number of learning centers, it is also helpful to have different kinds of preschool chairs depending on which activities you have. 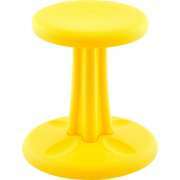 Of course, you will also need some supportive preschool tables and chairs for projects and activities as well. One creative option for your activity centers are cube chairs from Children&apos;s Factory. This vibrant preschool furniture can be used as chairs, tables or desks. 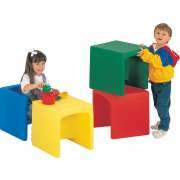 Children can move cube chairs around themselves and even stack them on their own. They will fit well in a block center. Cube chairs can be ordered individually or in sets. How can I create a calming classroom? 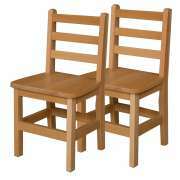 Wooden preschool chairs have a natural classic appeal that will fit in a reading corner or imaginative-play center. We have solid oak chairs with a natural wood grain as well as Educational Edge chairs, which feature solid wood construction with colored accents. This creates a winning combination of natural colors, solid wood strength and vibrant hues. 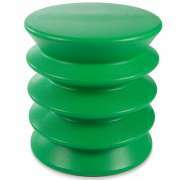 What kind of school chairs are good to put around an activity table? 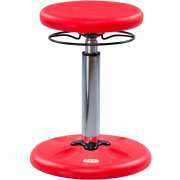 The best preschool chairs to have around your activity tables have durable plastic seats and tough steel frames. 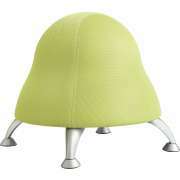 Hertz Furniture has sturdy preschool chairs in a huge selection of colors. 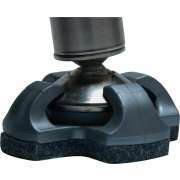 They are also available in a number of styles from various manufacturers including Academia and ECR4Kids. 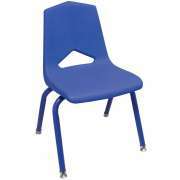 Finding the best preschool chairs for your classroom is easy with our wide and varied selection. There are a number of important factors to consider when purchasing classroom chairs for preschools or daycares. 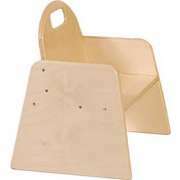 Appropriately-sized toddlers chairs are a must-have for any early-childhood learning space. They enable children to practice proper form and posture as they develop writing skills. Supportive seating is also important, so make sure to take note of features such as a waterfall seat edge. What kinds of chairs are good for toddlers? 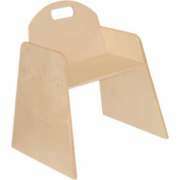 If you work in a daycare center or early-childhood setting, you can probably benefit from toddler chairs. While children are still developing their balance and coordination, it is important to have seating that is low to the ground, and easy for them to get on and off of independently. 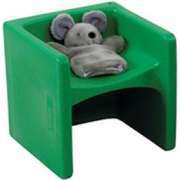 Toddler-height chairs enable little ones to sit properly and minimize the risk of accidental falls. 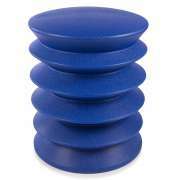 Many of our school chairs can be stacked. Stackable chairs are convenient in any setting, however they are especially useful if you occasionally want to clear some extra floor space for special events or activities. 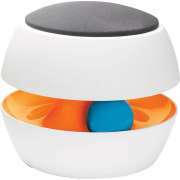 Additionally, they facilitate space-saving storage and make it easier to clean the floor. Hertz Furniture&apos;s preschool chairs are designed to give young learners a warm welcome to the formal educational environment. 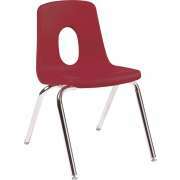 With appropriate classroom chairs, students will be able to sit for longer periods of time and remain focused. Whether you choose wooden chairs, cube seating or a classic design, your little ones are sure to benefit from the comfort and support of great school chairs.